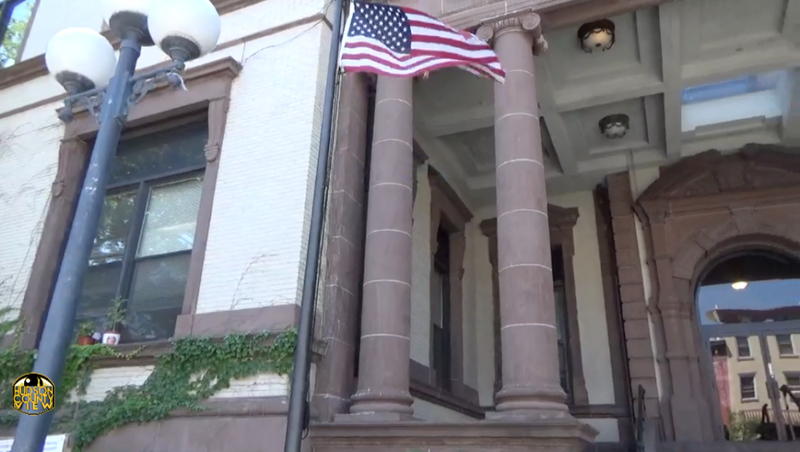 In a landslide, Hoboken residents voted overwhelming to bring back runoff elections by a margin of nearly 3-to-1, bringing the initiative back into effect for 2019. 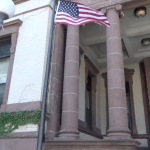 “Tonight an overwhelming 70% margin of Hoboken residents voted not for a candidate, but for the principles of majority rule, democratic elections and honest government,” 1st Ward Councilman Mike DeFusco said in a statement. 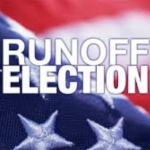 Although voters elected to eliminate runoffs in 2012, they were very enthusiastic in reinstating the initiative yesterday: with 10,702 votes in favor, and 3,905 against, without provisional votes or vote-by-mail ballots tallied. Needless to say, neither of those tallies will matter. 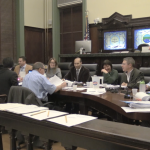 “I think the results show that most of Hoboken felt like I did, which was this vote was a referendum on last year’s election and runoffs give Hoboken the opportunity to have more city residents have a say in our future leaders,” said 2nd Ward Councilwoman Tiffanie Fisher. 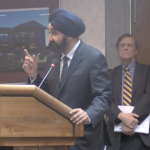 Mayor Ravi Bhalla, who was elected last year with roughly 32 percent of the vote, had opposed the initiative citing “massive vote buying,” though he did not run a full fledged campaign on the issue like DeFusco did. Well-known Hoboken politico Frank Raia, arguably the most prominent non-elected official in the Mile Square City, was indicted on vote-by-mail-fraud one week ago. Who paid for the very expensive TV, internet, mail campaign in Hoboken to get this pasted ? Who paid for Ravis’s directed Stronger Foundations attack as on his friend Jim Doyle ? Who was dumb enough to believe they bought tv time just because they won 8-1 instead of 9-0? Well then explain to us dumbbells why they only attacked Jim? Well someone get Lindastan a whambulance. WAAAHHHHH! Ravi can only thank himself or maybe Bromar & Lindastan. Funny stuff on all this by Horsey. I doubt we’ll ever know who paid for the campaign and why. Just like we’ll never know whether an electorate fully educated on the pros and cons of the issue would have voted differently. There was no balanced interpretive statement on the ballot, and no effort was made by the “no” side to educate the public about their perspective, making a landslide for “yes” pretty much inevitable. Basically “yes” ran unopposed. As I was reading the question in the voting booth, I couldn’t help thinking that if the only info I had was the language of the question itself, I would have voted “yes” without a second thought. Since that’s the position most voters were in, and if they heard anything else it was likely solely the arguments for “yes” this was certainly not a surprising result. Its too bad, since back in 2012 when the decision was made to eliminate runoffs, it was made by a highly educated electorate that had the opportunity to think through the arguments made by both sides and cast an informed vote. Perhaps, had that kind of full discussion taken place again the decision would have been the same, but unfortunately, we’ll never know. His insane attempt to say the electorate in 2012 was smarter than 2018. At one time there was a blog called Hoboken Horse. The owner would have cared about the fact that the referendum was poorly explained on the ballot, even though he wanted the referendum to pass. He would have cared about the dark money pouring into town to support the referendum even though he wanted the referendum to pass. He was all about democracy and the constitution. He’s gone now. The guy who replaced him only cares about winning and doesn’t care how it happens. So people pretty much ignore him. If Linda, Shadow and Sybil want to float ( or lie ) that an interpretive statement is required well, the VERY Educated public will learn quickly what a team of LIARS are advising the mayor and defending him online. The PAC has to publish it’s donations and expenses to ELEC. Just like Ravi published his expenses to operatives like Sybil’s Cave. So lindalou thinks that today’s voters were stupid and 2012 voters were smart. It’s been a while since I heard something so ridiculous. The mayor of Hoboken shared very plainly on several occasions his reasons for not wanting to reinstate runoffs. 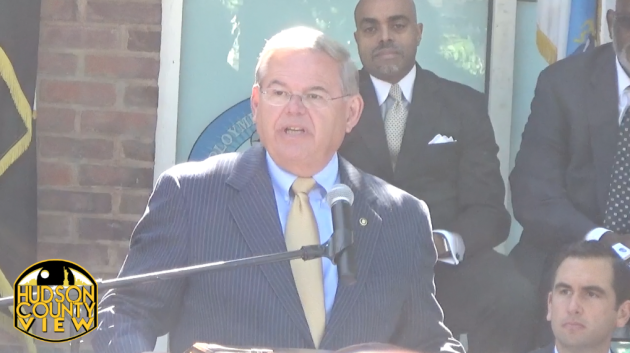 Although he never mentioned the one that was most important to him, the one about how he wanted to consolidate his power and, without needing to win an election by a majority, all he would have to do is hand multi-million dollar payments to certain Hoboken groups. Our facebook threads and local blogs had sycophants galore talking about the so-called evils of elections that require a majority of the vote to win. 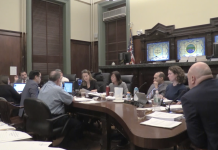 With a majority requirement, a small narcissistic cadre could and did for a very long time manipulate the smaller runoff elections in Hoboken. Now they want to do it again, not out of noble intent but blatant self interest. I think this is a great result and will personally attack and vilify anyone who disagrees with me. Please, leave Nancy out of this. She’ll show up whining more than Lindastan. The latter is bad enough with the ridiculous attack on Hoboken’s voters being stupid. The ballot question won, overwhelmingly, so let’s end this debate. What everyone can agree upon is that campaigns should aspire to be issues-based and positive. 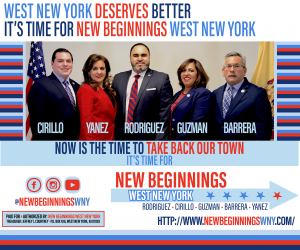 That we have a highly intelligent electorate, and that those of us who are civic-minded should make sure Hoboken is always aware of both sides of our municipal issues, questions, and debates. We should also all agree that a wide variety of practices are unfair during elections. 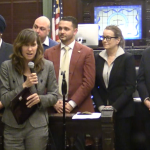 We should all be mindful of these sometimes illegal or sometimes simply unfair or unethical practices, and work to make sure they are never engaged in, particularly here in Hoboken. We’re a small community in many ways, and really need to turn down the intensity and increase the civility of some of these debates, especially the ones that are no longer up for discussion but have already been decided. Hoboken is a great city, a great place to live, a great place for our children to grow up, and as good of a place as any to one day depart this world from. Life is too short, and that inevitable day will come for all of us soon enough. So lighten up, debate vigorously and passionately, but then let it go and move onto the next (hopefully civil) civic discussion. And hey, maybe stop to smell the flowers or spend some quality time with a loved one in the interim. 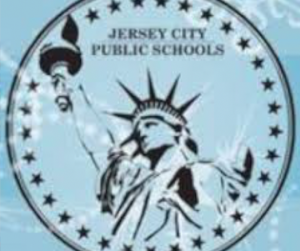 Do “we all agree” that Defusco’s massive P2P violations should be looked into by this council? Is that an “unfair practice”? Or is calling attention to it an unfair practice? If you are actually concerned with undo influence on the democratic process, you’d be concerned. Somehow I doubt it. You need to form a coalition when all is said and done and you’ll convince yourself that the unions and developers who have Defusco in their pockets won’t ask too much when the time comes. 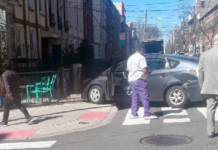 Anyone who doesn’t agree with me… leave Hoboken. Im going to drive you out in a MINI VAN. The people did decide. They decided to swing back to runoffs in 2018 by a whopping margin of 73-27 percent. In 2012 when the runoffs were eliminated the margin was 42-58. That is one hell of a swing would you not agree? That is even greater than the 68-32 margin of voters who voted against Ravi in 2017! Wow. Is the narrow Ravi Bhalla Bitter base shrinking even more? No amount of whining from the sore loser Ravibot contingent is going to break my stride, nobody is gonna slow me down, I got to keep moving. It is time to celebrate a return to majority rule. For those upset that intelligent people of Hoboken did not sheepishly bow down to Ravi’s wish to keep no runoffs, I ask the following to aid you in your introspection…. – Did Ravi’s Second Job have anything to do with overwhelming margin? 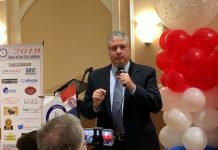 – Did Ravi’s negative campaign in 2017 have anything to do with the overwhelming margin? – Did Ravi Bhalla’s divisive leadership as Mayor have anything to do with the overwhelming margin? – Did the absolute poor argumentation skills of The Ravibots have anything to do with the overwhelming margin? – Did Forde Prigot and Vijay in particular actually drive voters in droves towards a yes vote? And where was Stan Grossbard to defend his legacy of no runoffs? Stan could have held it together but was MIA unless you count the occasional transgendered blogging attempts. Pathetic. Stan’s diminishing legacy took a major blow along with Ravi’s ability to get re-elected. Scorched earth politics can only take one so far. With Pupie, The Godfather of illegal VBMs now under indictment it begs the question how much of Frank’s VBM activity helped Dawn win in a RUNOFF in 2007? It just gets worse. Talk about a swing downhill. 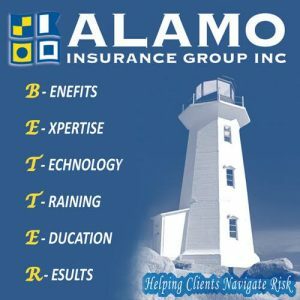 Better quit while you are ahead. You still have three years left of Ravi to see if he can sell out to NJ Transit. The 3 doofuses in their many online incarnations have always been doofily obsessed with me and a few others. But their doofy obsession has noe extended to a new foil, Forde Prigot, expressing doofy anger that he expressed opinions they disagree with on social media. I guess they find his intelligent data based discourse to be inconsistent with their mission of making the online world a dumber, doofier place. You can’t play shadow mayor anymore. That’s Bromar’s job. You got replaced and no one cares, especially over 10,000 Hoboken voters who could care less about anything Forde says. Forde’s insults failed too. 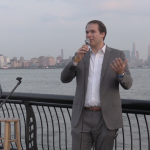 Hoboken and good government advocates are #WINNING. Forde has a constitutional right to free speech. Forde also has a right to have his inept arguments ripped to shreds for their ineffectiveness, misleading use of statistics and overall douchebag delivery. There have been fewer examples of lack of intellectual talent coupled with extreme arrogance than Forde Prigot and I am being kind. While Scorched Earth Stan the Shadow Mayor blogger is calling no certain people doofuses (because he has nothing better than to do than regressing to six year old insults) he fails to acknowledge the Hoboken voter has spoken and they knew what they were voting for. Hey Shadow, you got crushed. Deal with that! 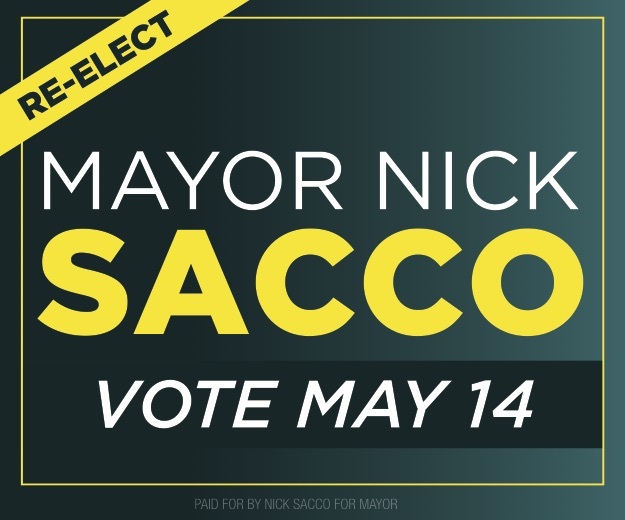 Your choice for Mayor now is more likely than ever to be one term. How is your legacy looking now? Will you keep defending two Job Ravi?